About Us Our Staff Parent & Student Information Student Handbook Quick Links Transportation Info From The Nurse Mead Gives and Receives Partner With Us Panther Posse Volunteer @ Mead! 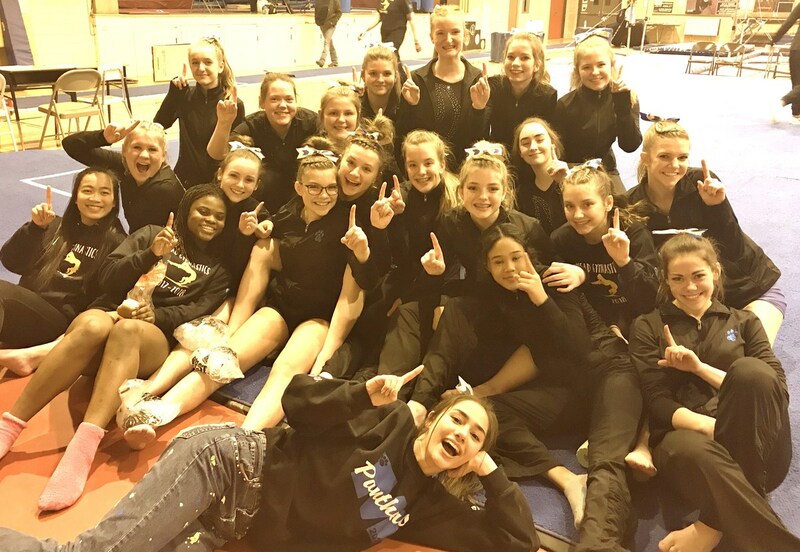 Panther Gymnasts Capture GSL Title! For the second year in a row the Mead Panthers are Greater Spokane League Gymnastics Champions! Read more . . .
Zella Conley of Mead finished in first overall with a score of 36.625 as the Panthers also won the meet with a 171.75 final score. Mead and Mt. Spokane finish the season tied for GSL title. Up next are the 3A and 4A state qualifying meets in February.